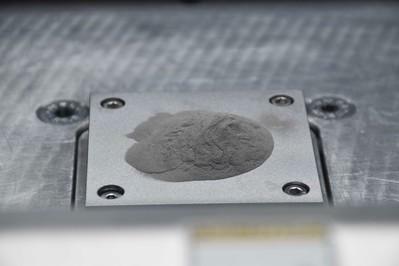 HRL Laboratories, LLC, is commercializing its additively manufactured (3D-printed) high-strength aluminum, which has obtained the first ever registration of an additive alloy from the Aluminum Association. HRL will be granted registration number 7A77.50 for the aluminum powder used to additively manufacture the alloy, and number 7A77.60L for the printed alloy. As the aluminum industry’s leading voice in the United States, the Aluminum Association provides global standards, statistics, and expert knowledge to manufacturers and policy makers. Alloy and temper designations, chemical composition limits, and registered properties in North America adhere to those standards. The association also provides business intelligence, sustainability research, and industry expertise and is committed to environmental considerations while advancing aluminum as the sustainable material of choice around the world. HRL Laboratories, LLC, Malibu, California is a corporate research-and-development laboratory owned by The Boeing Company and General Motors specializing in research into sensors and electronics, information and systems sciences, materials and microsystems, and microfabrication technology. HRL provides custom research and development and performs additional R&D contract services for its LLC member companies, the U.S. government, and other commercial companies. The Aluminum Association represents aluminum production and jobs in the United States, ranging from primary production to value added products to recycling, as well as suppliers to the industry. The Association is the industry’s leading voice, providing global standards, business intelligence, sustainability research and industry expertise to member companies, policymakers and the general public. The aluminum industry helps manufacturers produce sustainable and innovative products, including more fuel-efficient vehicles, recyclable packaging, greener buildings and modern electronics. In the U.S., the aluminum industry supports $174 billion in economic activity and nearly 700,000 jobs. For more information visit https://www.aluminum.org, on Twitter @AluminumNews or at Facebook.com/AluminumAssociation.